Silver Live Class. 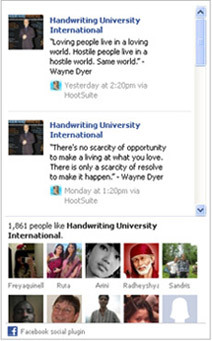 April 29th, 2019 Class #106 – Handwriting University: Learn Handwriting Analysis and Graphology. 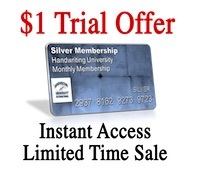 This is a unique teleclass that Handwriting University FACULTY hosts each month – just for Silver and Gold Members. This tele-class will be aimed more towards answering questions that you may have about handwriting analysis and to walk you through analyzing your own handwriting sample. You can also bring up any questions you may have about our home study course. Enjoy the next live class with our faculty.